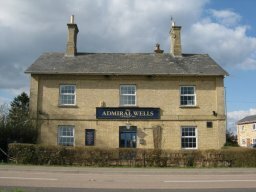 The Peterborough & District Branch of CAMRA (the Campaign for Real Ale) started in 1975, when a group of real ale enthusiasts met at the Bull in Market Deeping. Our branch covers three counties and two regions, from Weldon, N'hants in the west, to the Tydd villages in the east, Bourne to the north and Sawtry marks our southern boundary. 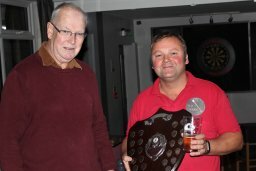 James Hopkin, landlord of the Yard of Ale, receives the LocAle Shield from vice-chairman, Dave Murray. The pub always has a range of local ales, tonight there were five ! Thanks for the excellent buffet, Ange and James ! CAMRA, the Campaign for Real Ale, is an independent, voluntary, consumer organisation which campaigns for real ale, real pubs and consumer rights. Membership is open to all individuals although corporate entities such as breweries and pubs are not members; we currently have over 190,000 individual members. CAMRA is governed by a voluntary unpaid national executive, elected by the membership. 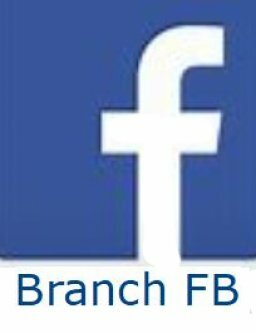 We have a branch structure which means that all members can join a local CAMRA branch and campaign and socialise locally. 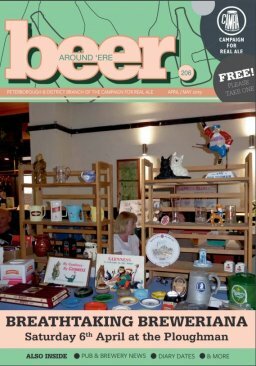 There are around 200 branches covering the UK and many of the branches run local beer festivals, publish local newsletters and run social events to pubs and breweries. CAMRA is financed through membership subscriptions, sales of products such as books and sweatshirts, and from the proceeds of beer festivals.